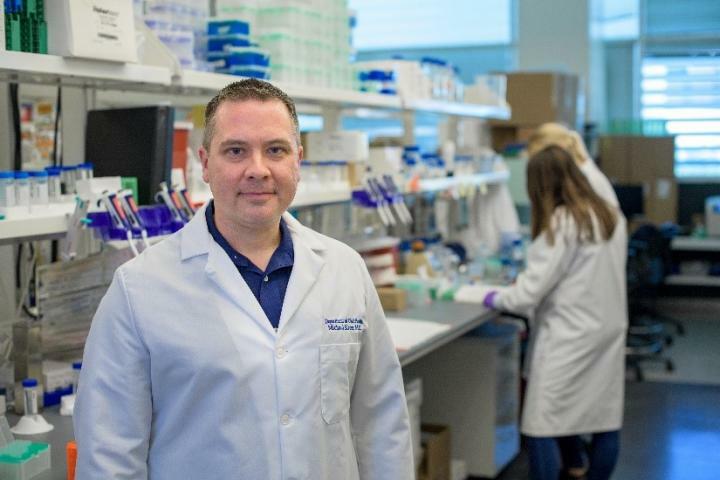 PHOENIX – A University of Arizona College of Medicine – Phoenix physician-scientist has been awarded the first federally funded grant to study whether mutated genes can lead to cerebral palsy. Dr. Kruer’s research will focus on the one-third of people with cerebral palsy who did not have these risk factors. His project will study mutated genes that could lead to cerebral palsy. “Understanding how brain development goes awry using a combination of genetics and cell biology will help us develop better diagnostics and treatments for a disorder that hasn’t seen new therapies in decades,” Dr. Kruer said. The grant includes a plan to enroll 500 individuals with CP and their parents (1,500 individuals) with the help of the Cerebral Palsy Research Network (www.cprn.org), a nationwide collaborative that connects centers of excellence in cerebral palsy care. Enrollment is proceeding on a national level with Arizona participants being heavily recruited. Dr. Kruer’s lab will sequence families’ genomes, hoping to discover genes that could lead to CP, when mutated. Then, the lab plans to study effects of gene mutations in human cells, yeast and fly models. Dr. Kruer, who is chair of the International Cerebral Palsy Genomics Consortium (www.icpgc.org) and director of the Cerebral Palsy and Pediatric Movement Disorders Program at Barrow Neurological Institute at Phoenix Children’s Hospital, has been studying genetic causes of CP for three years. His interest in the condition began 10 years ago with a single, “amazing” family he cared for with four children with CP. He said that experience did not “fit” with what he had been taught about the disorder during his training, leading him to think about CP in a different way.